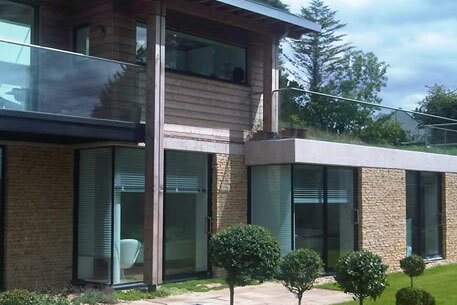 Our frameless glass balustrade systems are designed to improve the interior and exterior aesthetics of your home. Our contemporary glazed balustrade systems are not only visually stunning, but maximise the light penetration around the area it is installed. As glass continues to be the premier contemporary material of choice for our projects amongst our dedicated design team, it remains one of the most attractive and versatile materials with which we can bring truly bespoke creations and designs to fruition. Our glass installation expertise coupled with our glass balustrading systems make for an excellent finished result. Our modern frameless glass balustrade designs introduce effortless elegance and style into your existing property or new project. The use of an external glass balustrade in a balcony or elevated terrace installation, gives you a safe and seamless view into your outdoor area and beyond. 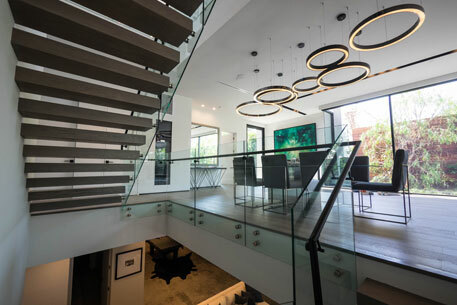 When it comes to interior glass balustrading for staircases or stairwells, we can incorporate this into the design of your project – creating unique and bespoke solutions that will enhance your interior design. For further information on the benefits of bringing our frameless glass balustrade installation into your home, please call us on 0207 074 8989, or email us through our contact page.